Islands/Unicorns songwriter Nick Thorburn has previously teamed up with famed actor Michael Cera in the band Mister Heavenly. 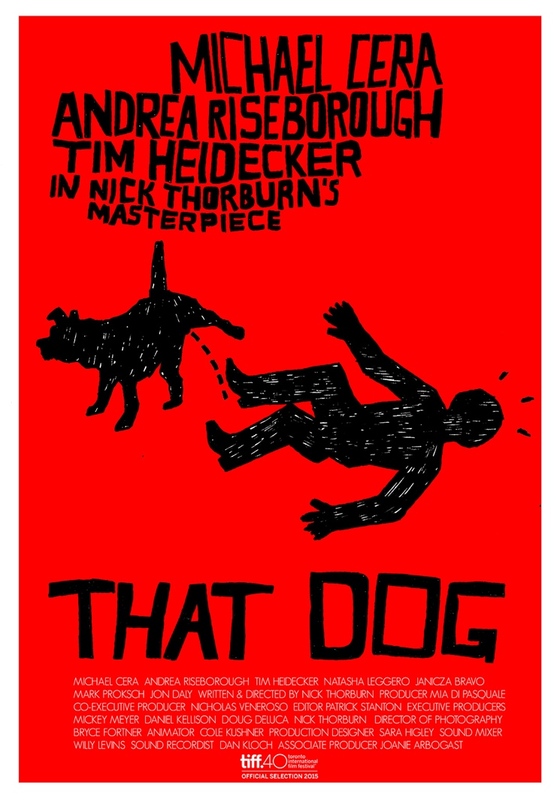 Now, he's working with Cera once again, this time on a short film called That Dog. Thorburn wrote and directed That Dog, and he also served as a producer. The 15-minute short will be making its premiere at the Toronto International Film Festival next month. Tim and Eric funnyman Tim Heidecker is also in the cast, as is Andrea Riseborough (Birdman, Oblivion). An official synopsis is as follows: "In this wickedly acerbic spin on a quintessential LA story, three people in an apartment complex raise social awkwardness and crass insensitivity to the level of art form." Watch a short trailer at the bottom of this page and check out the film's Facebook page here. TIFF will run from September 10 to 20. Other music-minded films include Sydney Pollack's Aretha Franklin flick Amazing Grace, Amy Berg's Janis: Little Blue Girl, Barbara Kopple's Miss Sharon Jones!, Morgan Neville's The Music of Strangers: Yo-Yo Ma and the Silk Road Ensemble and Kahlil Joseph's Arcade Fire tour doc The Reflektor Tapes. Meanwhile, Thorburn recently released City of Quartz, his latest album as Nick Diamonds. See his upcoming tour schedule below.